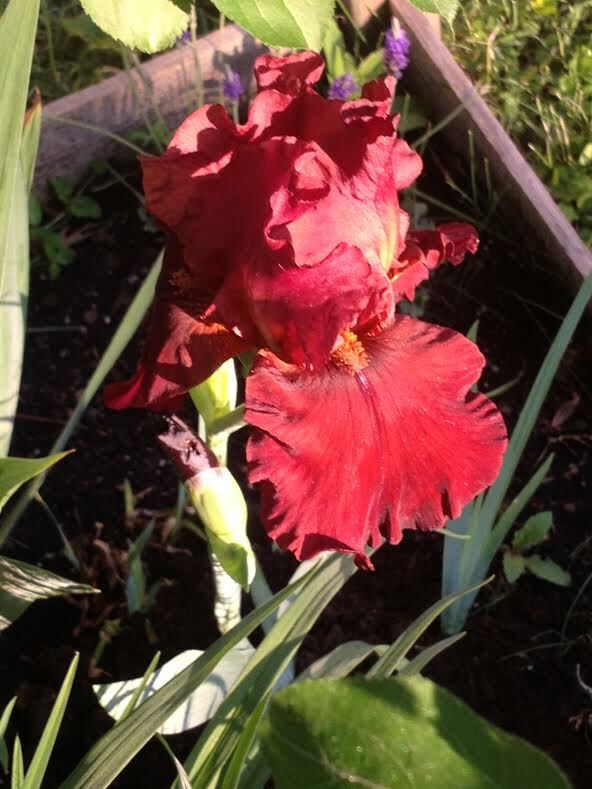 This is a burgundy iris that we almost lost last week due to the cold weather and storms. I’m not sure if this is its first year blooming or not. The rain beat the heck out of it and almost uprooted the entire plant. It was leaning over one day with roots exposed. Luckily, we still had some potting soil so when I got home from work I loaded it up with soil and finally got it to stand somewhat upright again. It bloomed this bloom the next day. More irises to come the next few days! They are my favorite flower!